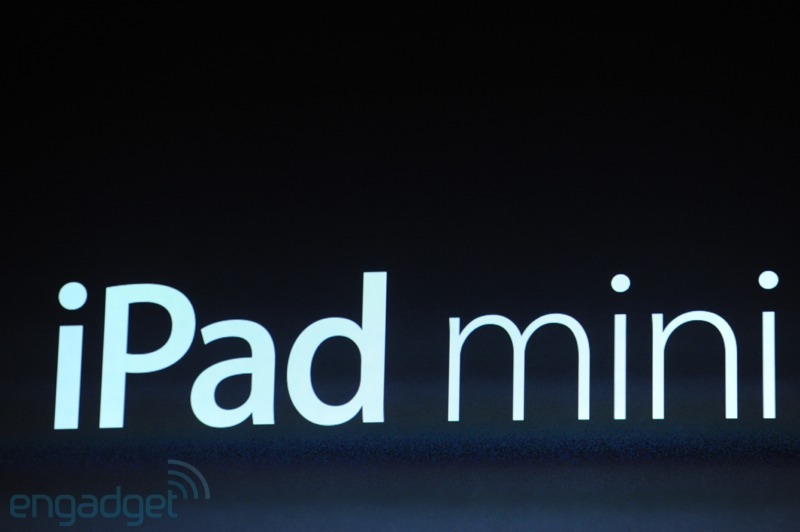 Apple announced an iPad mini that is as thin as pencil and weighs just over half a pound, as light as a pad of paper. It has a 7.9" display. Apple has made the iPad so that it has the same resolution as the 1024 x 768 iPad 2, so no extra work for developers. It sports a 720p FaceTime HD camera, a 5MP iSight camera, and a dual core A5 chip, as well as having LTE. And even though it's a smaller form factor, it still has a 10-hour battery life! It starts at $329 for a 16GB Wi-Fi only.